We had to wait a while for it to happen, but it’s finally here; .Net Standard 2.0 support in Xamarin Forms. This is a big step in sharing .net code across multiple platforms while able to target a wide range of APIs. To show of the power of this, let’s do a fun example. Wouldn’t it be nice if you could create Microsoft Office Excel of Word files on the fly inside your Xamarin Forms app? Of course you could offload this to a backend service, but that means you also need to be the owner of the data service. On the other hand creating simple CSV files that are compatible with Excel is also a possibility, but you are limited to only adding data in that case ( no formula’s or formatting ). Thanks to .Net Standard 2.0 we can now use the full Office OpenXML SDK inside our Xamarin Forms apps! First things first, how do we create a Xamarin Forms app with a .Net Standard 2.0 lib instead of a PCL. To accomplish this now ( without any new Visual Studio templates ), just create a new blank PCL Xamarin Forms app. When this is done, add an extra project but this time select a .Net Standard Library. You’ll get a popup window for selecting which version of .Net Standard you want to target, select Version 2.0! If you don’t see version 2.0 yet, that means that you still need to install the new .Net Core 2.0 SDK. For using it on a Mac goto https://www.microsoft.com/net/core#macos. When the project is inside your solution, first delete the class1 file and add the Xamarin Forms nuget package ( at least v 2.4. * ) and when that is done, just drag and drop the PCL files over to your new .Net Standard library. Now you can just delete the old PCL project. 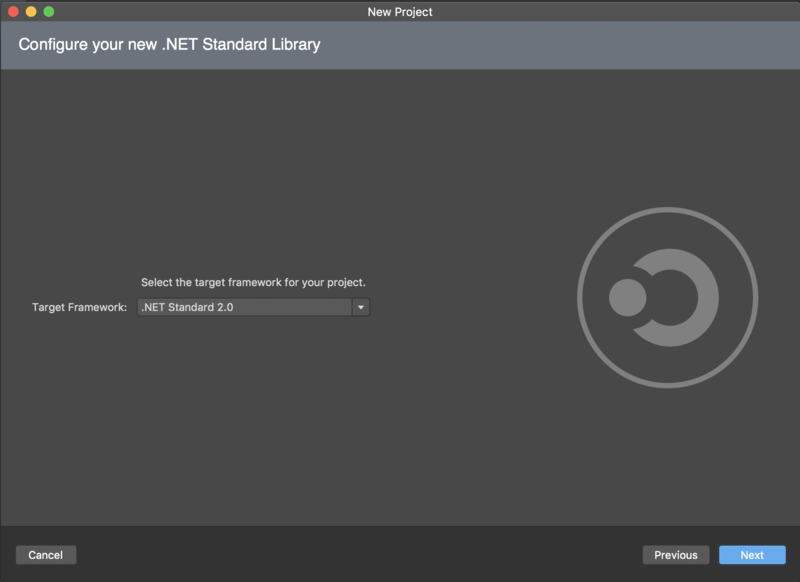 Reference the .Net Standard lib in your iOS and Droid projects and you are good to go. For our example we also need to add the OpenXML nuget package so that we create and manipulate Docx and Xlsx files. Let’s assume you have some data in a local database of pulled down from a REST service, it’s nicely presented on your screen and you can annotate and filter it. When you are done you want to transfer this set over to some coworker but he is working in another environment and excel would suit better. So how do we create an Excel file with this data blob? //Create a new spreadsheet file - remark will overwrite existing ones with the same name! The key element from the OpenXML SDK is the SpreadsheetDocument class, this allows us to generate a new empty Excel file! After that it’s only a matter of adding a new sheet and giving it a name. I’ve created a separate method for inserting data into an existing Excel file ( in our case the one we just created with the code previously shown ). This method uses a class called ExcelData it’s nothing more than a simple POCO with string lists… one for the headers and the rest for the data. Once the data is passed to the method, we’ll open up the first Worksheet available in our Excel file and inject data rows. Each row will get a set of Cells, in which we put our string data. In this example I made it very straightforward and didn’t do any fancy Excel stuff… but now you have the basics of how to handle OpenXML files! If you go through the SDK docs, you’ll see that there is a lot more available. When this is used, you’ll be presented with an Open with popup where you can select different applications that are installed on your mobile device. If Excel is installed you can actually see the generated file!